A two-piece clamp with a damping insert. Easy assembly thanks to the large opening angle. Locking screw with straight and cross cut, protected against loss. 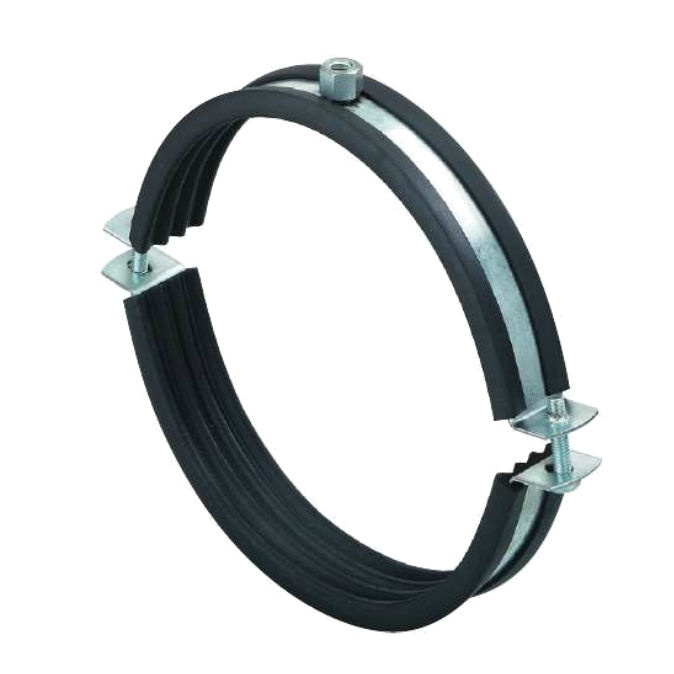 Stable damping insert ensures strong grip. Good fit to different pipe sections thanks to two screws. 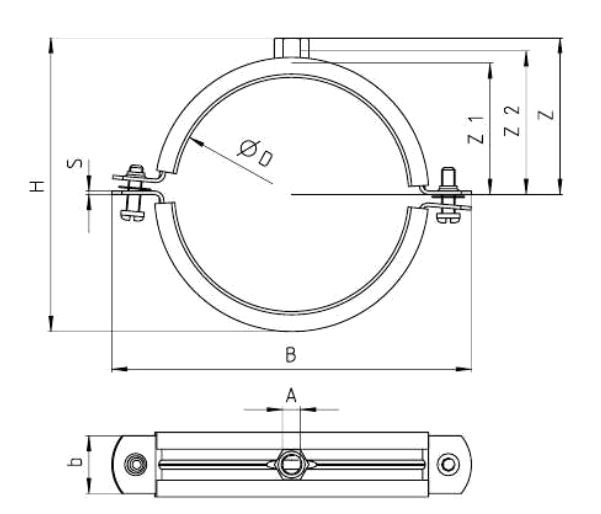 From the diameter of 450 mm can be fastened with two lateral threaded rods.